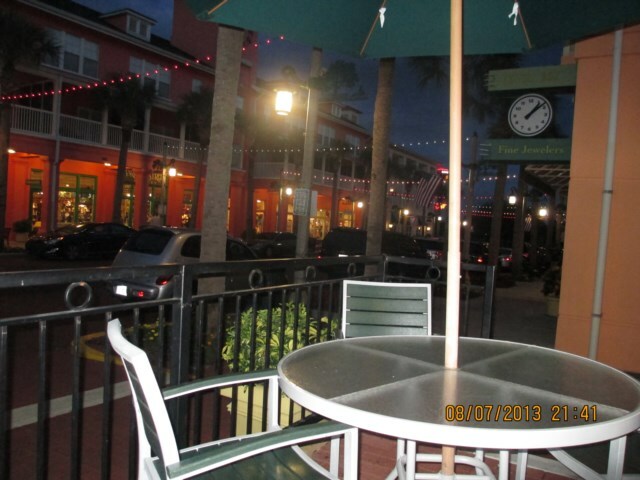 Celebration is one of those places we love to visit and enjoy the quiet streets and restaurants. Christmas time is a magical place at night with lots of tree lights horse rides snow and skating for all but it is just as pleasant on a warm summers evening. 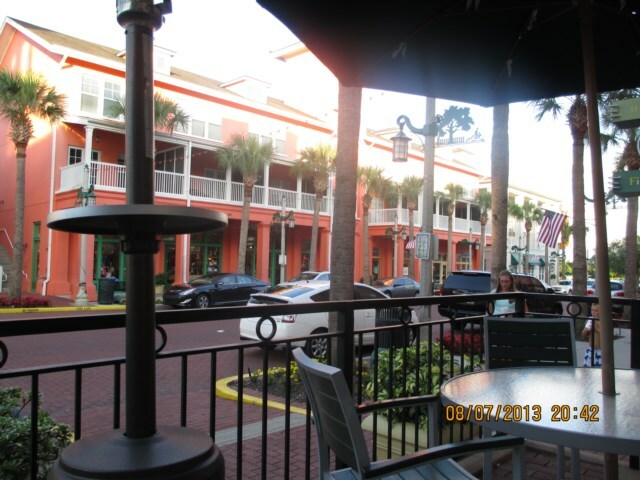 On our latest visit in June we arrived in the early evening and after eventually finding a place to park we decided to go for a drink and headed for the Market Street wine bar where we spent a very pleasant hour enjoying our drinks sitting at the outdoor tables and chairs and people watching. 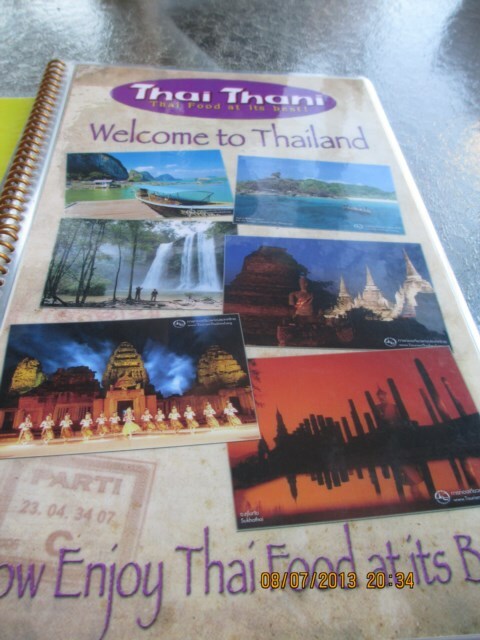 We had many times passed by the Thai Thani restaurant so when we had finished our drinks we decided we were quite hungry and headed to the restaurant we had heard so many good reports about. 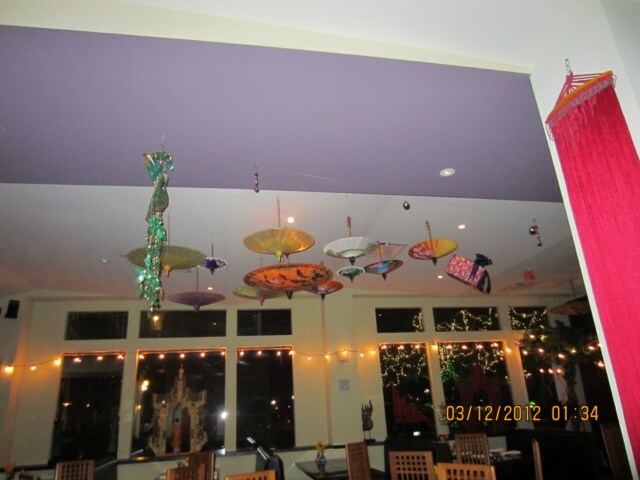 The restaurant is one of four in Florida and is traditionally decorated with lots of umbrellas hanging from the ceiling as well as many ornate statues. 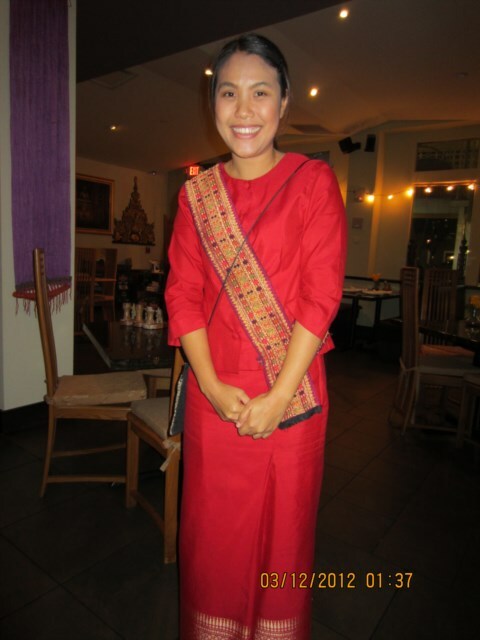 The servers are also traditionally dressed and very polite and on this occasion as it was such a lovely evening we decided to dine in the outdoor seating area. 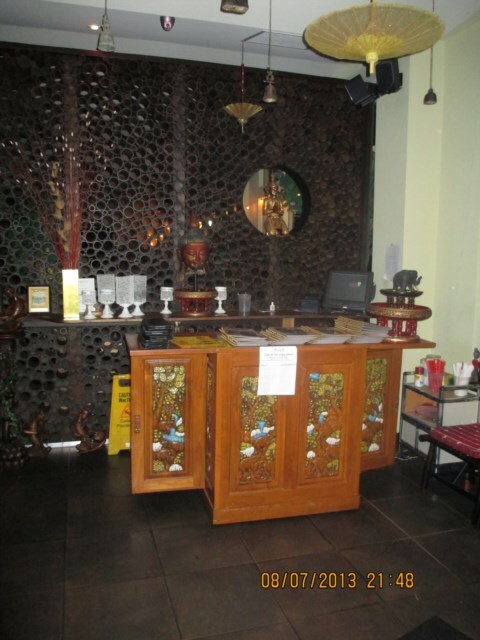 The restaurant is very family friendly with high chairs being provided for the little ones. 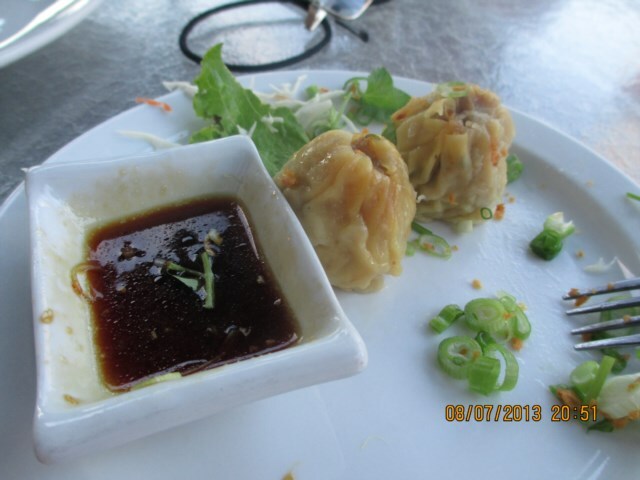 There is an extensive menu and we decided to share a dim sum starter and some spring rolls. 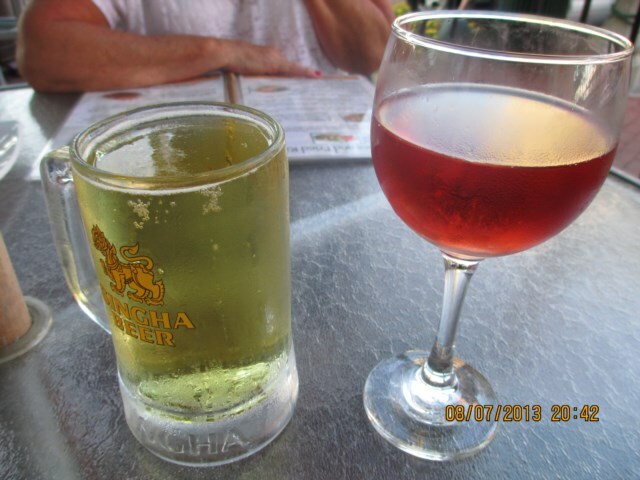 Whilst my Dad chose the traditional Singha bottled beer which was served ice cold; I had a Rose wine and my Mother had iced water. 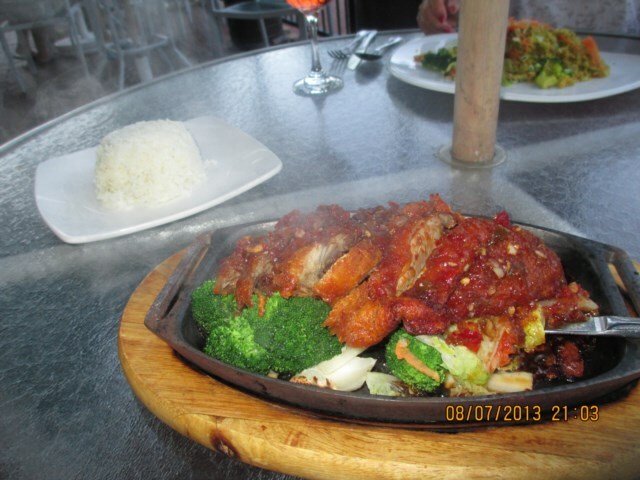 Whilst enjoying our drinks we looked at the menu and chose our entrees a noodle dish, the Sizzling duck and the Panang prawns as they all looking familiar to similar meals we had eaten back in England. 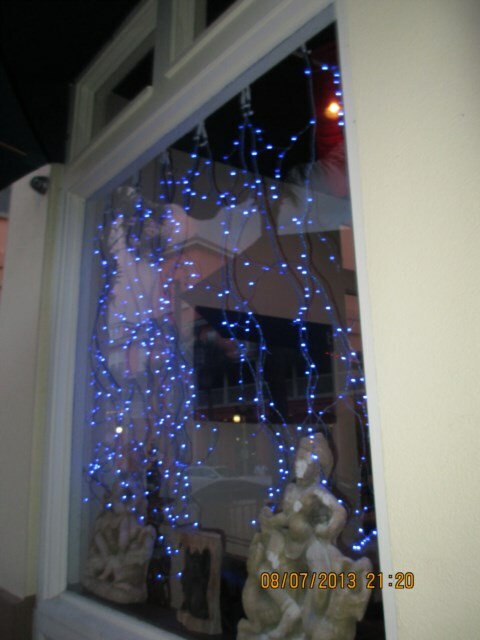 We really enjoyed our starters and had a break before we asked for the entrees to be served. 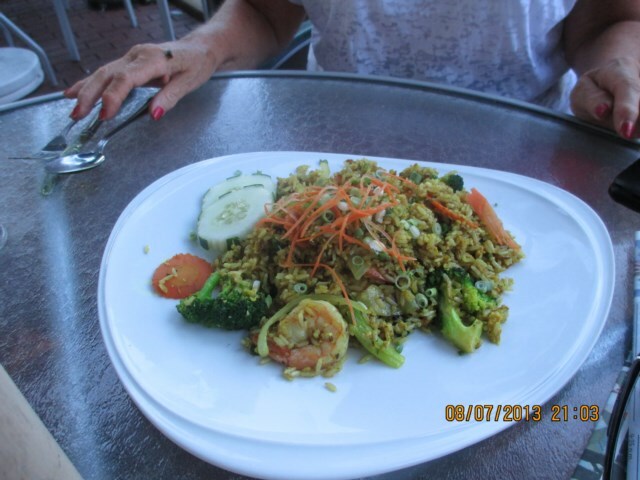 The food was fabulous and two of the dishes had a plentiful supply of rice. 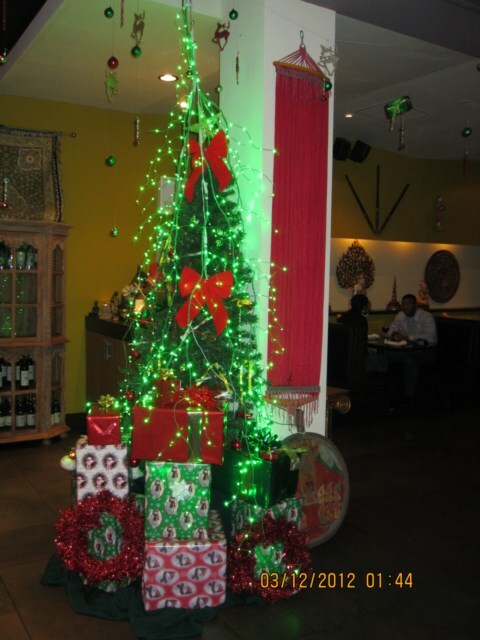 We had had so much to eat we declined any desserts although the ones we saw delivered to the next table were mouth watering! After enjoying our coffees Mother and I spent about half an hour window shopping whilst my Father relaxed in a rocking chair by the lake. We joined him and all three of us had a leisurely stroll around the lake before heading back to our villa. 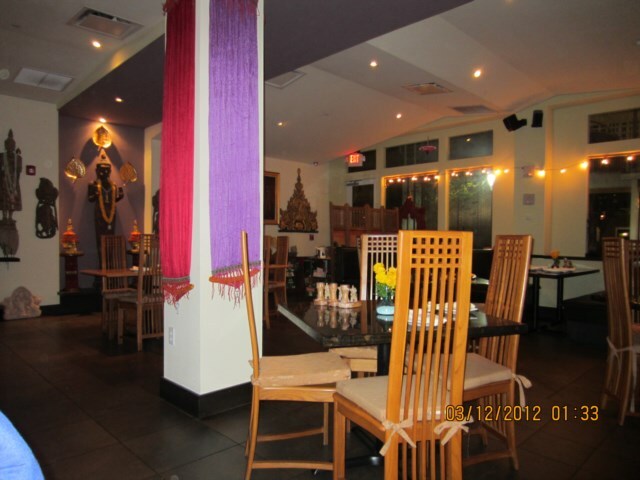 If you enjoy Thai food I would recommend you go for lunch or dinner at the Thai Thani. Viewed 2006 times since 16 September 2013. My Top Ten Most Favourite Restaurants.